D’Agostini’s liquor store is in Mantua, NJ and has been family run since the beginning. Our app allows our customers to get information on New Craft Beers we have in stock, our highlighted Wine listings, what new items we have in stock and it highlights some of our close out items. It adds Facebook and Twitter functionality to the simple menus so you can share with your friends! The app also gives you directions to the store and an informational page for the phone number and more! We update regularly so please check out what we have and stop by to say Hi! 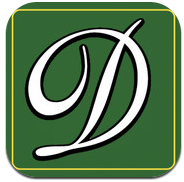 Download D’Agostinis Liquor store App Here!